Figure 22. 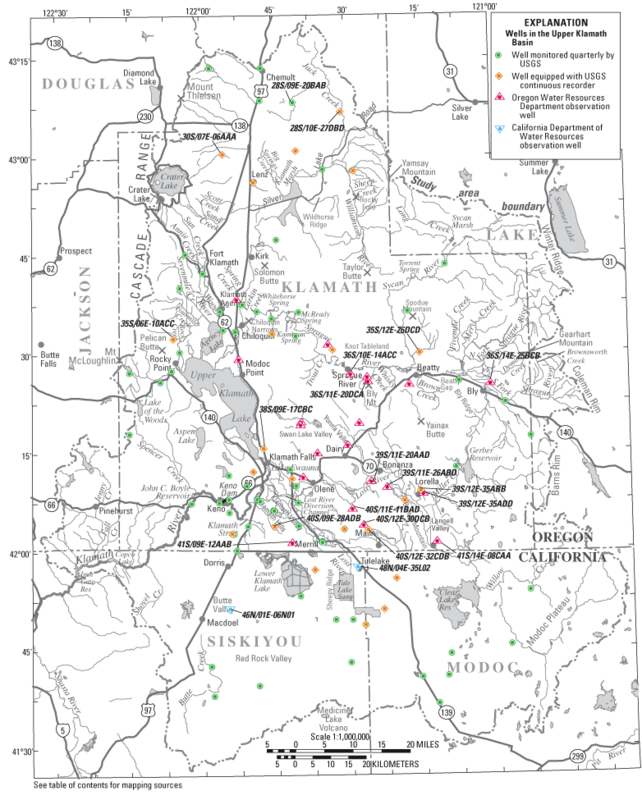 Selected observation wells in the upper Klamath Basin, Oregon and California. Location information is only shown for wells specifically referenced in this report.